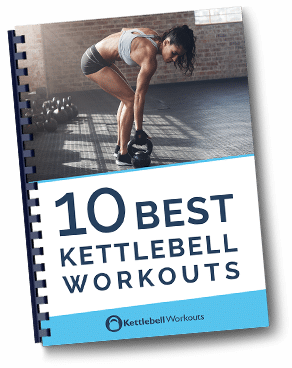 Are you using a specific training program and want to start adding in kettlebells? 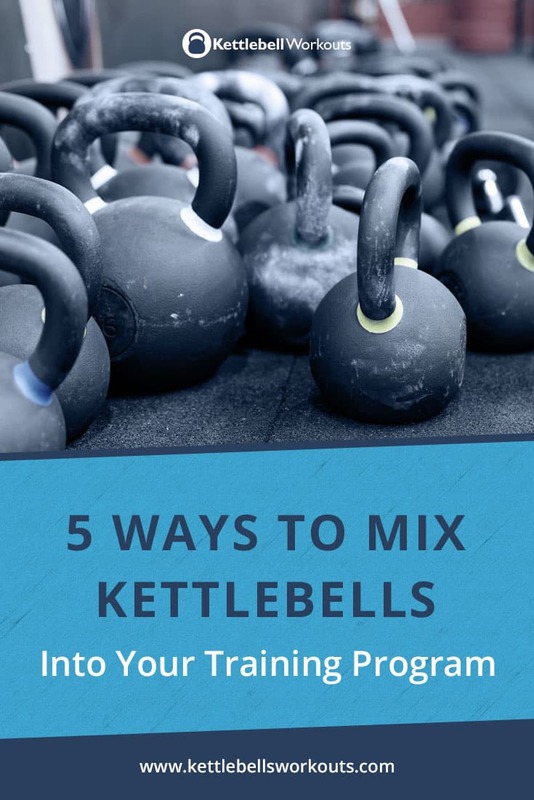 If so then here are 5 ways you can mix kettlebells into your training program. 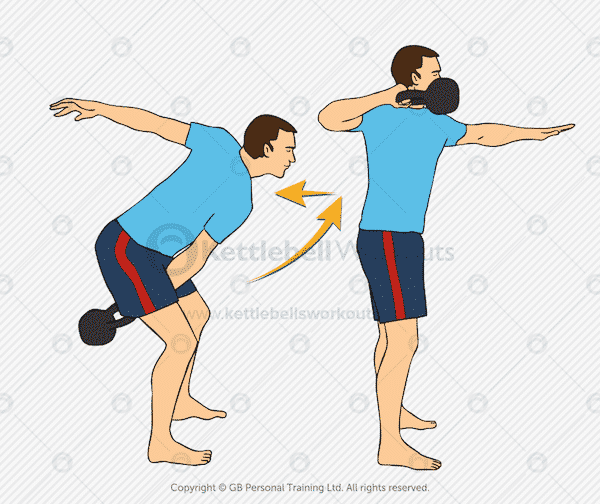 Kettlebells can offer many additional improvements to your existing training program. 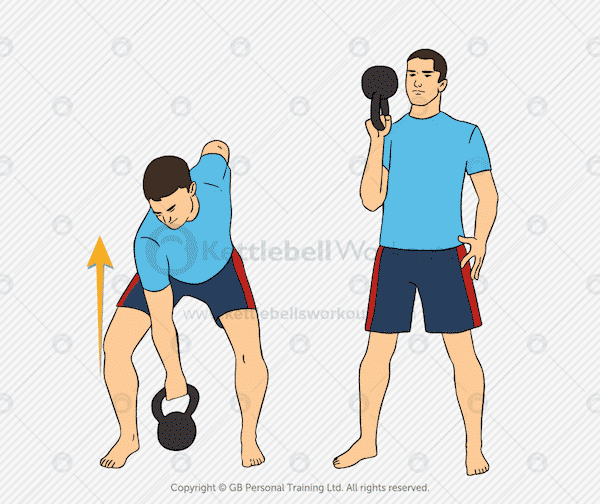 Kettlebell training offers many exercises that are more comfortable to use for certain exercises, for example the overhead press feels more natural. 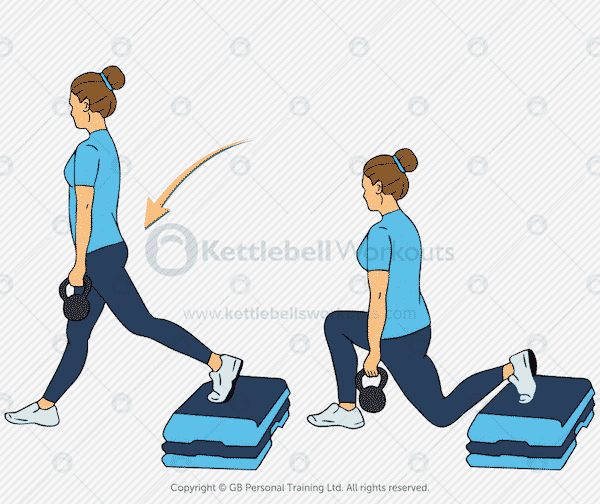 Kettlebell rows and the single handed deadlift work well too due to the way the kettlebell handle sits up, and the Turkish get up works nicely due to the way the kettlebell lies against the arm when conditioning the core muscles. If you are performing a more tradition barbell or dumbbell routine then simply replacing some of your existing exercises with kettlebells is a great start. 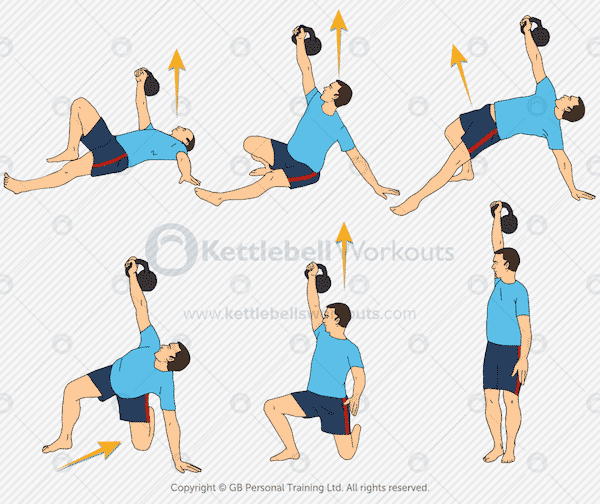 This is the easiest option, just replace like for like so a dumbbell overhead press can be replaced with a kettlebell overhead press, a dumbbell lunge with a kettlebell lunge etc. 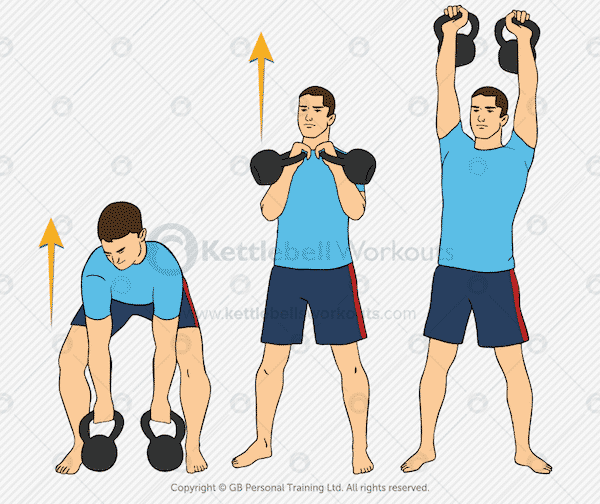 Perform all your upper body exercises with kettlebells and lower body exercises with barbells. 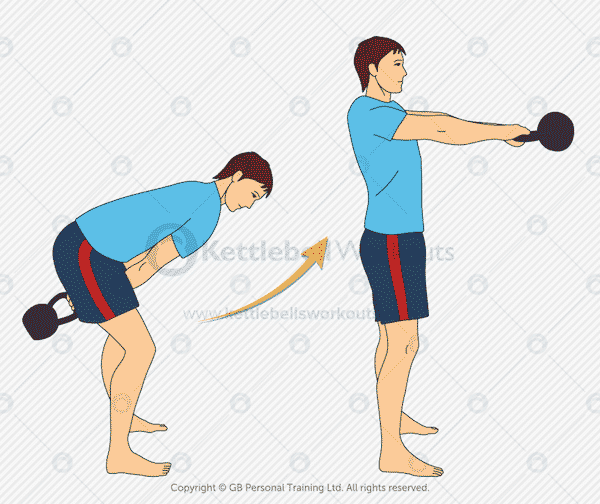 I like this option because many of the upper body kettlebell exercises including: presses and rows, feel more natural with a kettlebell. This option promotes using kettlebells for the more high rep lighter exercises and reserving the low rep heavier exercises for barbells. You can perform deadlifts and squats with a barbell and snatches and swings with a kettlebell. You may also choose to perform all single leg exercises with a kettlebell and all others with a barbell. For example, single leg deadlifts, pistol squats, Bulgarian lunges etc. Keep in mind your goals, if it’s size or strength then you may NOT want to completely eliminate all the big barbell lifts. A second option is to add kettlebell training as part of your warm up or as a muscle activation drill before your existing workout. This first warm up drill works into the legs, hips, back and shoulders. If you are training for a specific sport or activity then this warm up drill will help to develop better rotational strength through the core muscles. You will also develop good full body muscle activation and challenge your mobility through the essential movement patterns. For those performing a lot of overhead pressing in their workout this is an excellent preparation drill. The bottoms up clean will help develop good body and shoulder alinement whereas the windmill will loosen the shoulder and prepare the stabilisers. Kettlebells are a great tool for conditioning due to the many ballistic exercises that you can perform. With the use of the right kettlebell exercises you can seriously challenge your cardio both aerobically and anaerobically. So you may choose to use kettlebell conditioning workouts at the end of your existing workouts as a way to improve your cardio or burn some additional fat. You should finish this workout in under 5 minutes. Great for adding an explosive hip element to your training while at the same time working your cardio. Perform 10 snatches on the minute, every minute for 10 minutes. As you get stronger and more conditioned you can either increase the weight or the number of reps.
Flow from one exercise to the next without putting the kettlebell down in-between exercises. 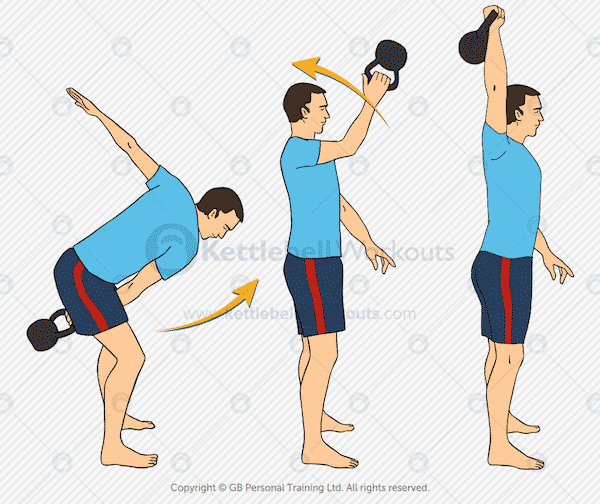 Keep the kettlebell moving and work on smooth transitions from one exercise to the next. If you have a demanding schedule of sports, running, or martial arts then one option is to add two days of kettlebell training to your week. Exactly what type of kettlebell workout you perform will depend on your goals. Think about what you are looking to achieve with your workout and program it accordingly. For a full body workout you may choose to use all the above movement patterns but for a more specific workout you may choose just one or two. This full body workout is performed with two kettlebells but could easily be perform with just one. As you can see it uses lots of different movement patterns and so activates hundreds of muscles per workout. This tri-set is performed one exercise after the other without taking a rest in-between exercises. The workout is designed to strengthen the legs for running and incorporates strength and stability as well as core conditioning through the rotational sling system. One final option is to add short, low volume workouts that you can perform each day that doesn’t take away from your other activities. Using this option can give you a great introduction to kettlebell training without overloading your body and avoiding the risk of injury. Care needs to be taken so you don’t overdo things, rest days should be taken if things start to get a bit too much. The above workout is a full body beginners circuit that will take 4 minutes. It can be repeated if necessary. The workout takes you through some of the major movement patterns using hundreds of muscles at a time and raising your heart rate too. As with all exercise rest and recovery is very important. Everyone recovers from exercise differently depending on their: age, experience, diet, genetics and so on. A simple guide is to listen to your body, start off gradually and take an extra days rest if needed especially when you first introduce kettlebell training. Be prepared to reduce kettlebell loads, take longer rest periods in between exercises and change repetitions. Kettlebell training makes an excellent addition to any training program. 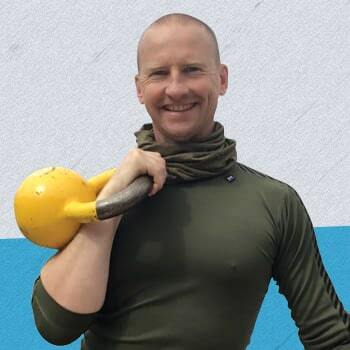 Think about your goals and how kettlebells could improve on your existing program. 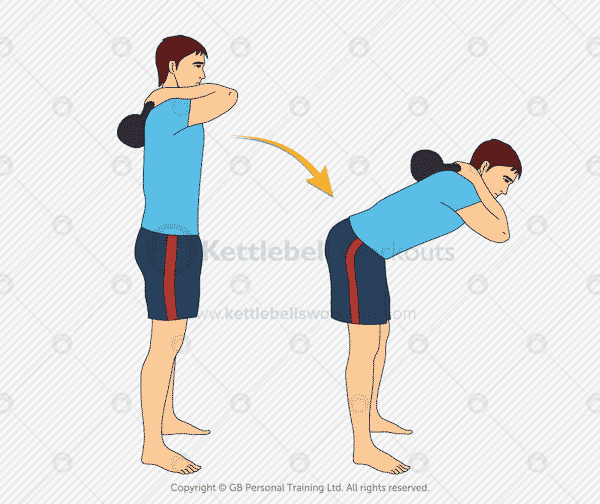 Above I have listed 5 different options to begin incorporating kettlebells into your routine, you could start just by replacing a few exercises or performing a kettlebell warm up. Start off steady and listen to your body taking rest days when needed. Have you tried adding kettlebells to your existing training program? Let me know more below….